At today’s live at Nippon Budokan, Morning Musume’s 12th generation was announced! Like 9th and 10th gen before it’s a 4 member generation. There are two Kenshuusei members and two new girls; Akane Haga, Maria Makino, Haruna Ogata and Miki Nonaka. Akane Haga is 12 years old and was a Hello! Pro Kenshuusei member. She auditioned for Morning Musume’s 11th and the first 12th gen audition. She joined the Hello! Pro Kenshuusei in 2013. Other than that I don’t know much about her dancing or singing-wise. Looks-wise she reminds me of a mix between a young Yurina and Chinami, so there’s still a change she might become pretty in the future, as she doesn’t stand out much now. 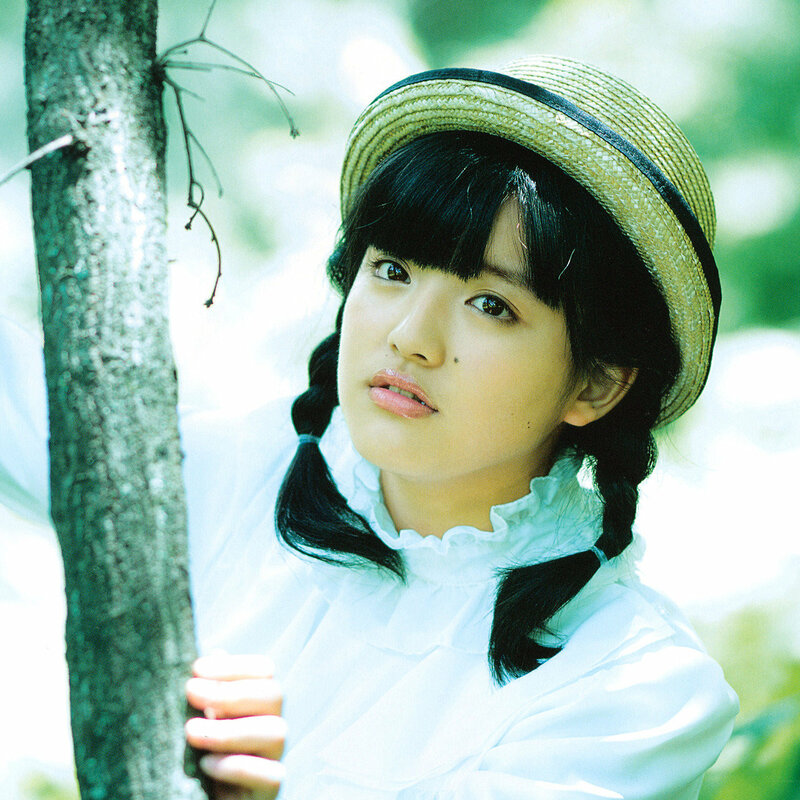 Next is Maria Makino, who is 13 years old. After failing the 11th gen audition she joined the Hello! Pro Kenshuusei as trainee. I don’t know much about this girl either, she looks quite pretty though but not outstanding either. Her looks scream ‘Juice=Juice’ to me, but I hope she’ll grow into the Morning Musume feel. As for the other two girls, there are no pictures revealed yet. All I could find about them is that Miki is 14 years old and Haruna is 15 years old. I think it’ll be a little confusing to have two members with the same name in the current line-up, but they’ll probably figure something out. I’m really curious about these two, so when there’s more information I’ll make a more detailed post about 12th gen! That’s it for now.